A recent article by Mike Adams, editor of Natural News, puts it all in perspective. He wrote: "As human beings, we’re the only species stupid enough to actually poison ourselves . . . we create a wide variety of chemical toxins that go into the ecosystem through rivers and streams, the air, the soil. 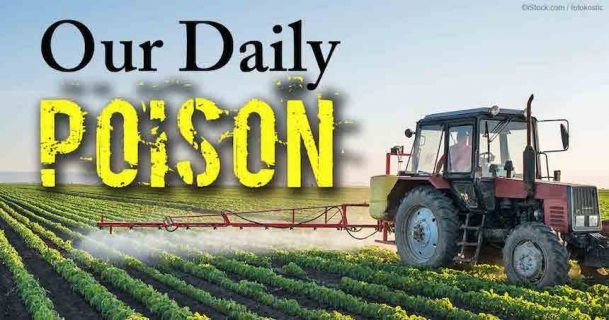 Not only that, we actually synthesize toxic chemicals and then inject them directly into the food supply – knowing full well that they are poisonous and are major contributors to the epidemic rates of chronic disease we are experiencing today." The list of toxins that we blindly expose ourselves to every day is getting so long it will be almost impossible to include them all in this report. It appears that we began this insane slide when we developed atomic weapons and produced fluoride as a waste product. Someone got the idea in the 1950's that fluoride prevented tooth decay and cities were sold on the idea of dumping the stuff in the public water supply. Fluoride is not only a dangerous toxic, it damages teeth, bones and the pineal gland, it lowers the immune system, causes joints pain, is linked to kidney stones and kidney failure, lowers sexual drive, causes brain damage and affects blood circulation. So why don’t we stop dumping fluoride in our public water systems? We not only continue to poison public water, you can actually buy fluoridated water in bottles at the local grocery stores. It is difficult to find a brand of toothpaste that does not contain fluoride. 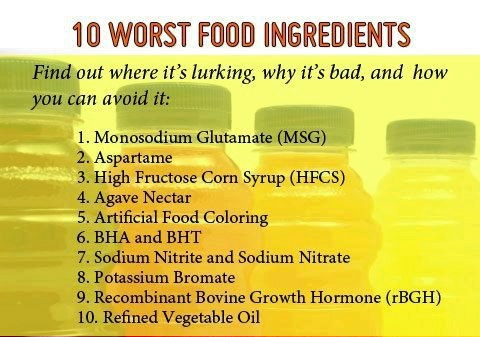 Then there has been the food additive monosodium glutamate (MSG) and the artificial sweetener aspartame, two addictive substances found in most of the processed foods we buy on the market. It is especially found in soft drinks, prepared spaghetti sauces and even our prescribed medicines. Both of these products are found to be what some opponents call "excitotoxins" because they excite brain cells, make us feel good for a brief period, but are destroying brain cells in the process. Oh, yes, they are highly addictive, we might add. Notice that people who consume diet drinks can’t seem to stop drinking them. Indeed, there is that chlorine problem in our public drinking water. We all know the taste of it when we drink water directly from our faucet. Not only does chlorine taste bad, it is poison that we should not, and need not be drinking. Safer alternative methods of purifying public water systems exist but few of them are in use because the chlorine industry is big business. Chloride poisoning can cause respiratory, flood, skin and gastrointestinal disorders. Fortunately, it can be filtered from the water at the tap by using special filtration devices, and chlorine will evaporate quickly when chlorinated water is boiled. So even though we know better, why do we poison our foods, our water supply and our daily living and working environment? The answer lies in the old addage: "Follow the money." That's right, it has all become a very profitable slice of American industry and commerce.